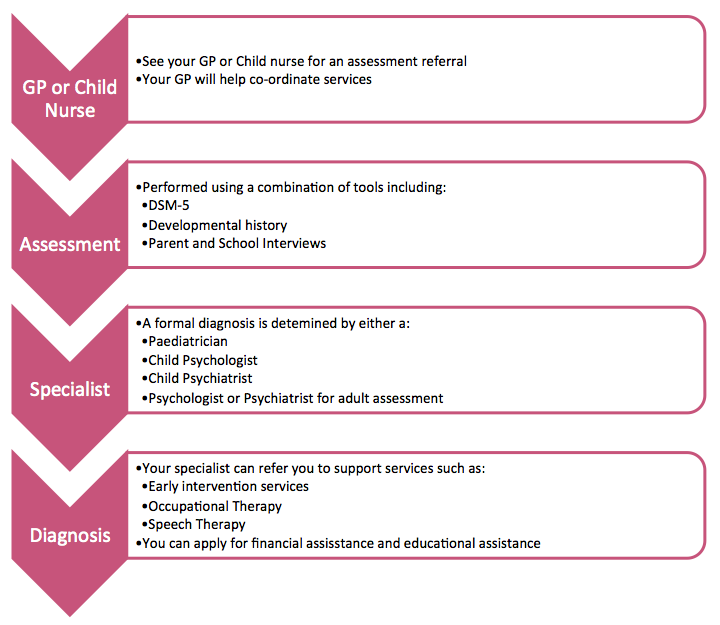 Assessments are based on a combination of evaluations which usually includes reports from parents, health professionals (including psychologists, paediatricians etc) and schools. Assessment will also consider current and previous developmental history. The DSM-5 breaks down the signs and symptoms of ASD into categories. It also states how many of these must be present in each category to confirm a diagnosis of ASD and where on the spectrum they fall . Do not be afraid to seek a second opinion!